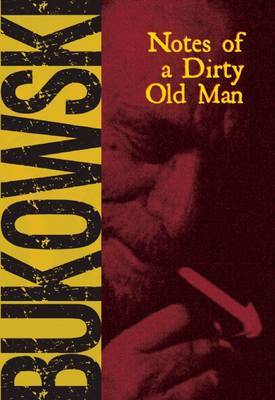 "People come to my door--too many of them really--and knock to tell me Notes of a Dirty Old Man turns them on. A bum off the road brings in a gypsy and his wife and we talk . . . . drink half the night. A long distance operator from Newburgh, N.Y. sends me money. She wants me to give up drinking beer and to eat well. I hear from a madman who calls himself 'King Arthur' and lives on Vine Street in Hollywood and wants to help me write my column. A doctor comes to my door: 'I read your column and think I can help you. I used to be a psychiatrist.' I send him away . . ."